Accidents can occur in an instant and there may be endless reasons or actions that cause them. One startling statistic pertaining to the cause of accidents has led to legislation aimed at prevention. According to the National Safety Council, roughly 26 percent of all vehicle accidents are the result of cell phone use. The phenomenon of distracted driving is a nation-wide problem and New Hampshire has stepped up the efforts to prevent those statistics from growing. Despite some opposition, the governor has passed legislation that will go into effect July 1, 2015. 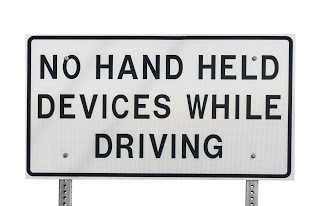 This new legislation is a state-wide ban on the use of hand held electronic devices while driving. As of now, there is a ban on texting and driving. This new law will ban the use of cell phones for conducting conversations, composing, reading, viewing, and sending electronic messages of any kind. Adults can use a hands-free system while behind the wheel to avoid breaking this new law. However, minors should understand any use of a cell phone, hands-free or not, is strictly prohibited. The ban also extends to putting information into a GPS system or other navigational device. The only exception to the ban on use of a cell phone is if the driver is calling 911, fire department, or other emergency personnel. This law puts New Hampshire on the same page as a dozen other states and the District of Columbia. As it stands now, 43 states and the District of Columbia already ban texting and driving. If pulled over or involved in an accident, drivers won’t be able to use the excuse that they were unaware of the law because there is a marketing campaign underway to spread the word before the law takes effect. The campaign features a slogan that is resonating with residents. The slogan is “Hands Free, a Better Way to Be”. Employers need to understand how they may be held liable for the actions of employees under the new law. If an employee causes an accident while on a cell phone and it is proven that the employee was conducting business or following directions from an employer, that employer can be held liable in a civil court. For example, if an employee is on a conference call and wrecks or is putting an address in a GPS to deliver something on company time, the employer can end up paying damages in a civil case. A skilled injury lawyer in New Hampshire can investigate phone records or employer/employee training to determine if the employer can be held liable. Any kind of accident can be devastating for people and their families. Lives can be altered forever when injuries lead to disability or the inability to work again. On-going medical treatment, expensive therapies, and the unknown pace of a recovery can add stress and anxiety to an already upsetting situation. When an accident is caused by distracted driving and cell phone use, the devastation may seem worse. No victim should just accept this kind of accident as fate. If you are injured, you deserve compensation for your pain and suffering. It would be highly beneficial for you to have a New Hampshire car accident lawyer is in your corner fighting for your rights. An experienced auto accident attorney can determine if a violation of the new ban played a role in your accident. Then, let an accident attorney fight for a settlement that will help you move forward.